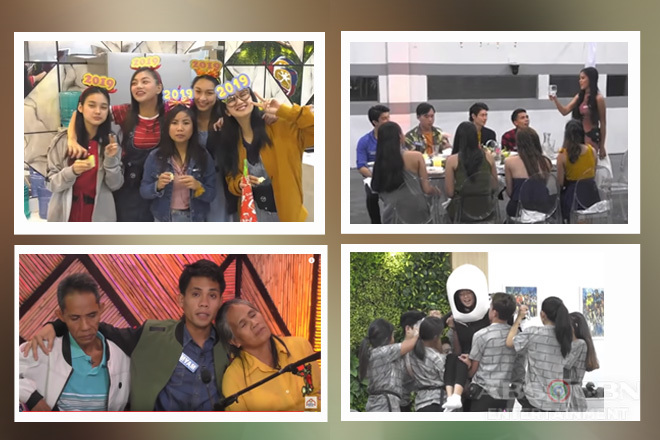 For the continuation of the housemates’ “Blind Grocery Task”, Kyzha Villalino and Tan Roncal took their turns as the players for the nerve-wracking challenge with Mich Wunder and Yen Quirante as their controllers, respectively. Unfortunately, Mich was not proficient in Tagalog, thus he truly struggled in giving Kyzha accurate directions, making them fail to finish the round within 15 minutes and to obtain their vegetable supply. On the other hand, maneuvering Tan was a breeze for Yen who praised him for his gumptiousness in helping her accomplish their part. Once the Star Dreamers were complete, host Alex Gonzaga visited them at the Camp Star Hunt to ask how their first night and day went and to bestow them their special task dubbed “Balance 8”. In this challenge, the Star Dreamers had to put the styro boxes on a makeshift weighing scale through the use of four poles until their weights balanced as indicated by the two arrows at the center and have to maintain it within 88 seconds. Being the gentlemen that they were, the guys volunteered to do the task and told the ladies to stay on the sidelines and cheer for them. In spite of the countless times they dropped the boxes and the difficulty they encountered in balancing the weights, they were still able to complete the task. As promised, each of the Star Dreamers ecstatically received their sumptuous treats contained in plastic wares which were their most favorite food. Ashley del Mundo got Chicken Barbecue, Gwen Apuli got Giniling, Shami Baltazar got Chicken Curry, Lance Carr got Carbonara, Narcy Esguerra got Buko Pandan, Jem Macatuno got Bistek, Emjay Savilla got Tinola, and Batit Espiritu got Kalderetang Baka. But before sharing their food and ensuing to a very satisfying feast, each one of them shared the story behind the dishes they received. Meanwhile in the PBB house, Big Brother gave the housemates a new task in which they’re able to impart a portion of their life story through a short dance performance. He assigned dancers Sheena Catacutan and Shoichi Oka to be the leaders of this activity tagged as “Sayaw ng Buhay”. After the task was relayed to the rest of the housemates, they picked one-by-one the mood of the story they’re going to interpret, either happy or sad, and proceeded on practicing their routines, except for Mich who proudly said that he wanted his performance to fully come from the heart and be instantaneous. First to show off the piece he prepared was the “Responsible Rising Son of Japan” who called it as “Dream” and imparted one of the blissful moments of his life. The “Miss Palang-Ganda of Cebu” came in second and entertained her housemates with a lively number showing how her little brother added color and vigor to their family as they consider him as their “lucky charm”. Next was the “Dance-Irella of Isabela” who tugged heartstrings with her emotive interpretative dance that represented her yearning for a constant father figure in her life. Despite not being skillful in dancing, the “Kulitisoy of Davao” still tried his best to display the happiness he felt when he was declared an official PBB housemate. Meanwhile, the “Palangi-Teen Dreamer of Camarines Sur” wasn’t able to hold her emotions as she dedicated her heartfelt performance to her beloved deceased father who, according to her, was her number one confidant in everything she does. 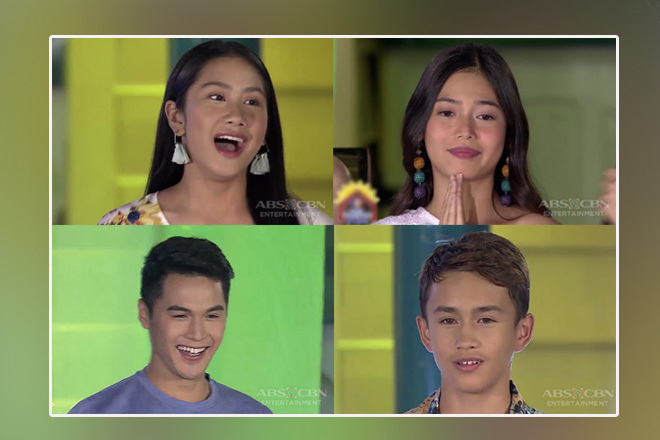 Find out if we will be amused or wretched in the interpretative dances prepared by Alfred, Mich, and Angela and the stories behind those on the next episode of PBB Otso!